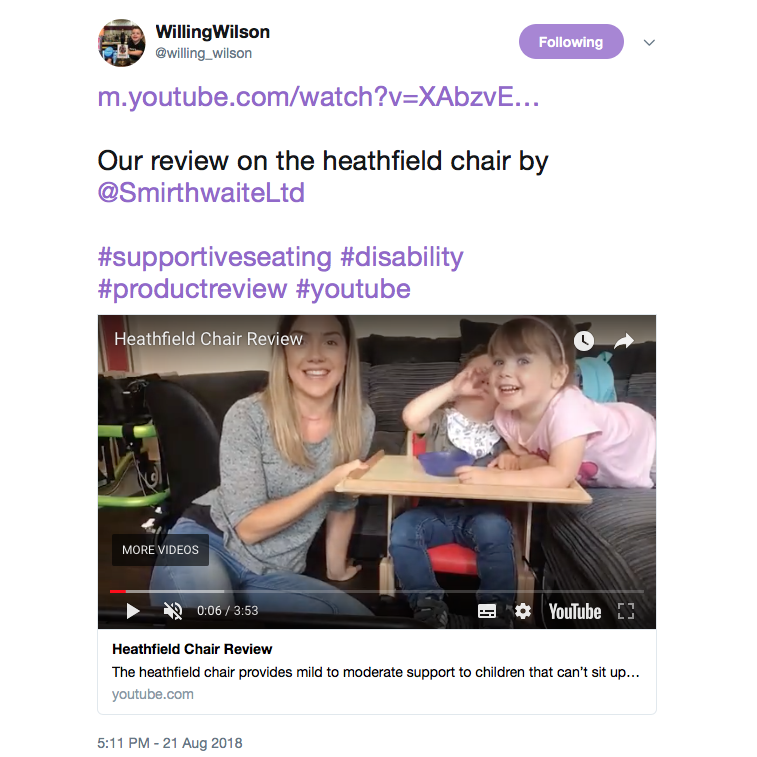 Thank you to the lovely family for taking the time to post this review of our Heathfield chair on social media yesterday. Please see the review video on YouTube by clicking HERE. You can also find more information about this lovely little chair by visiting the Heathfield page.